Narrow boar hair bristle brush for backcombing and teasing. The boar hair bristles provide nourishment by stimulating and massaging the scalp and gently spreading the hair’s natural oils. 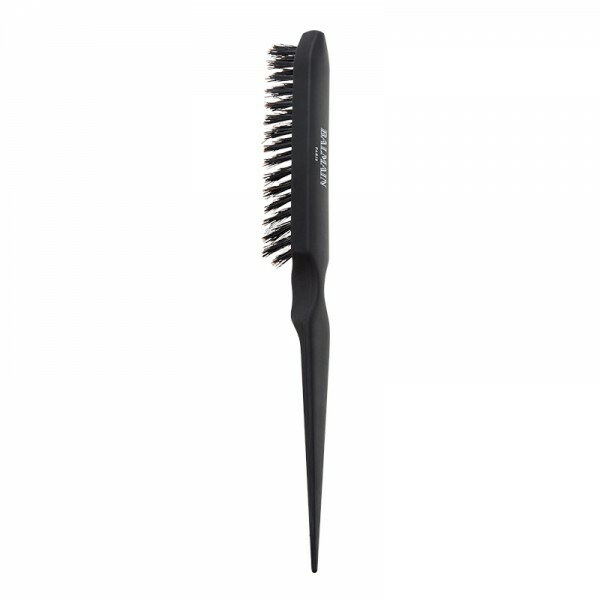 Provides instant volume and brushes out easily.